Under FIFA regulations, the length must be a minimum of 100m and maximum of 110m, and the width a minimum 64m and maximum 75m. 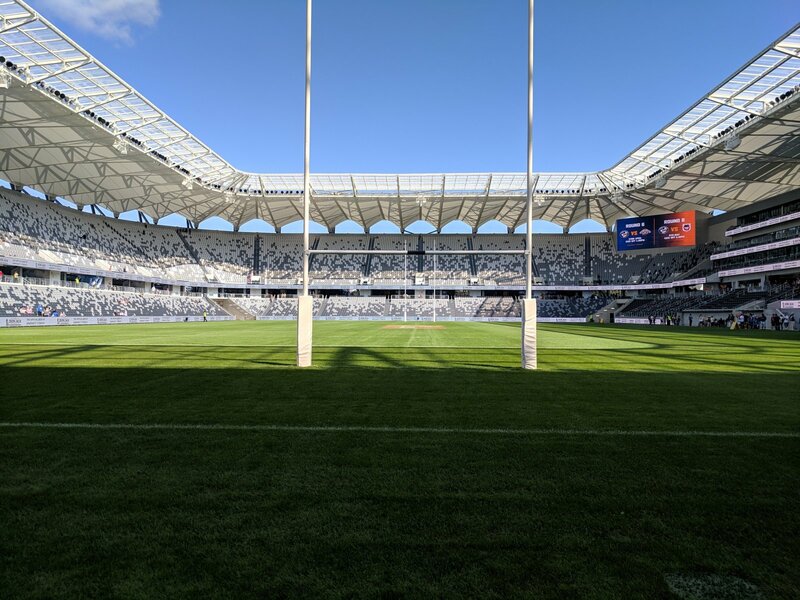 Within those dimensions it’s open, so long as it complies with Bankwest Stadium’s safety regulations stipulating front-row seats are a minimum of five metres from the sideline, and seven metres on the broadcast side. Fence to fence the space is 131m long and 81m across. So based on the "safety" regulations the pitch has to be at least 12m narrower than the fences sideline to sideline. That means the width range is only 64-69m and the average distance from the side fence to the sideline would be between 6m and 8.5m. For the length the minimum distance from the fence doesn't matter because the longest allowable pitch wouldn't conflict with it. If it's 110m long the goal lines will be 10.5m from the fences, if it's 100m they'll be 15.5m from the fences. All the pictures look awesome and we're close to the pitch, but when you look at the numbers I thought we'd be closer than that. About 10 years ago IFAB attempted to fix the international standard to 105m by 68m (but decided to just keep it at the existing standard where you have some variability allowed) and that's generally what most grounds unless they are like that article says, looking for an edge on a team or in situations you can't physically fit a pitch at that standard size. 68m incidentally happens to be the width of a rugby league pitch. The try line to try line is 100m. There was some pictures of a Rugby League field marked out on the pitch. Because we know what a rugby pitch is measured at, I've done a very rough mockup of what a football pitch marking will look like at 105x68m. The boundaries are pretty much spot on, the interior with the 18 yard boxes are very much not but give a rough idea of what it'll be. Some years ago it was informally accepted by the various football bodies in Australia that the infield at a multipurpose venue would be 136m x 80m (82?). Rugby Union preferred it to be longer but accepted that seeing it was a multipurpose they compromised on the length. Football's compromise was a length slightly longer than FIFA's preferred length. As I posted earlier I really do hope they adopt a 110m pitch length to place the goals as close as possible to the fans, at the two ends. The fence to fence dimensions of 131m long and 81m across is slightly smaller than the dimensions suggested during the stadium planning process of 140m by 80m. Someone should update the stadium Wikipedia page with the correct dimensions. Looking at that picture I'm now triggered by the fact that the main grandstand doesn't have alternating colours on the seats. Whatever the dimensions are who cares, at least we will be closer to the field than ANZ or Spotless. The main grandstand is now the other side I reckon. My 5 year old niece can draw a better semi circle than you. With all due respect to Mack, I probably couldn't either. But at least I'd get the correct goal posts in the pic. Edit: As I think about it, perhaps they are still going through the renewal process? The renewals are still in that "group" phase thing for $50 each. The actual renewals haven't happened yet. Still a neat $600k for the club. It is very slow process allocating seats , and some people ask for seats change. Yeh I get you, almost like seat reservation as opposed to renewals. I understand the club charging the fee, they’ve planned it to fit in as many people as possible without gaps. Can easily see people just cancelling before renewal time & throwing the whole plan out the window. 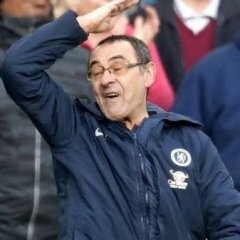 Renewals are in June. Over a 2 week period with auto renewals processed 1 June I think. Not a lot of lights on the tall tower showing, very odd. Soooo....when is the excited flood of comments and pics going to start flooding in this morning?? Sonar laughed at my comment. Yes...of course...but ...errr...when will you be moving like the wind and flitting between the shadows....hmmmm? I can't put in the pics so i have put them on twitter. Stadium is fantastic and the top tier is so steep!